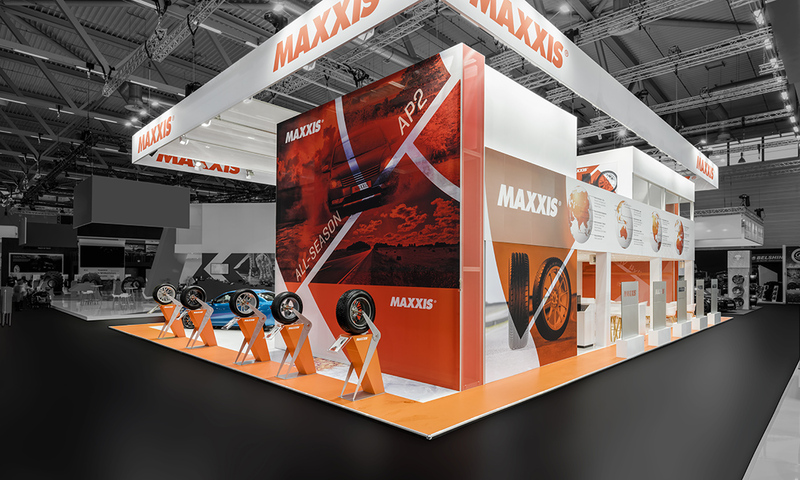 Big, bigger, Maxxis: in 2016, the Taiwanese tyre manufacturer made a fresh start with the help of our trade-fair concept. 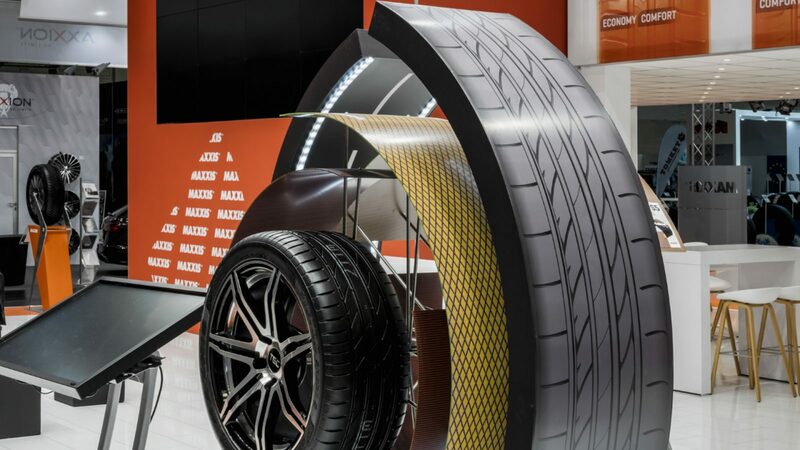 At this year’s The Tire Cologne , the creative design had its fourth outing, though the size of the double-decker exhibition stand increased by around 50 m² to a total of 413 m². 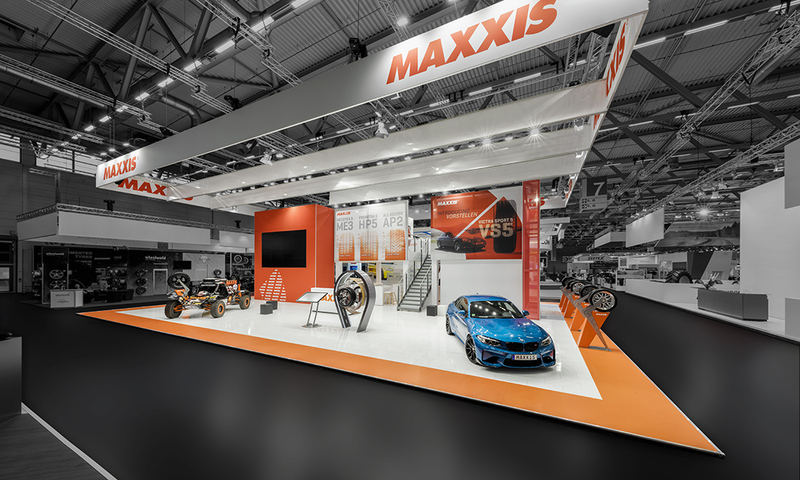 Maxxis ranks among the top 10 in the sector. Its aim: to boast the pole position. 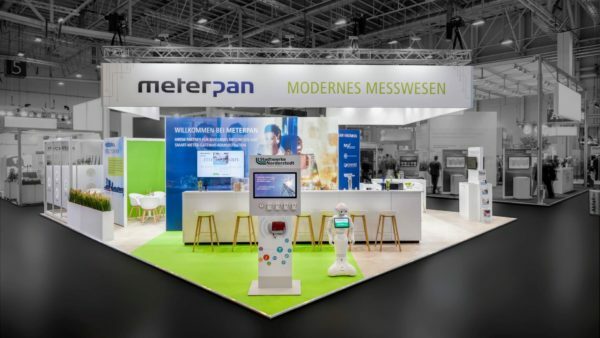 It’s obvious: a leading position calls for an impressive exhibition stand! 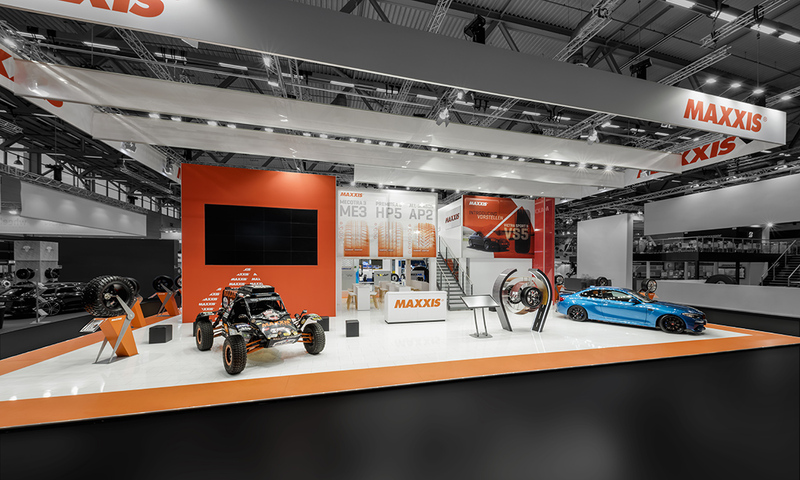 The successful, open-design exhibition stand with semi-transparent fabric side walls provides a sense of lightness. 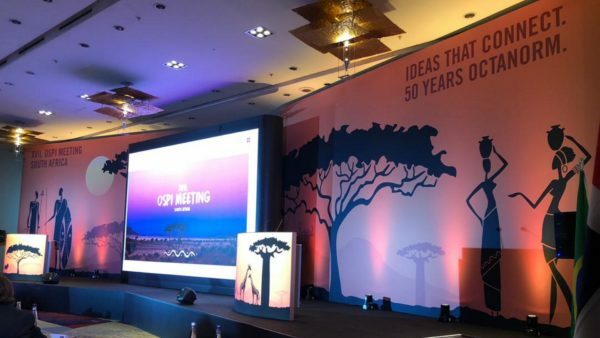 The upper floor offers plenty of meeting space for discussions. 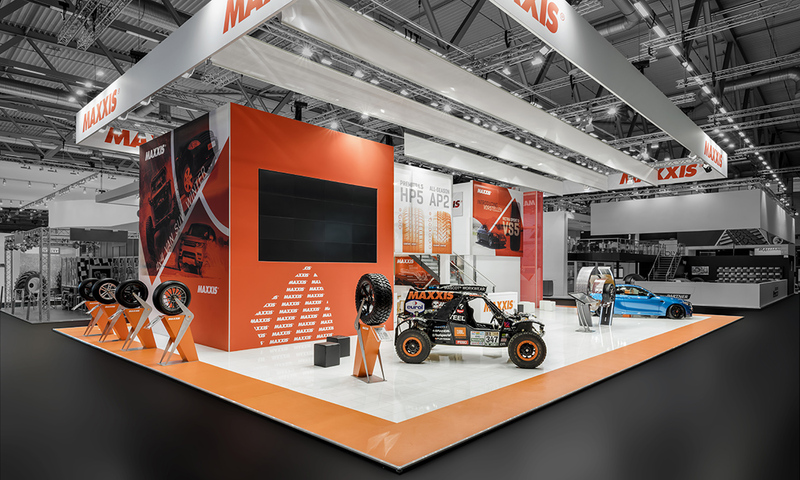 One particular highlight for Maxxis was the presentation of the new VS5 tyre. 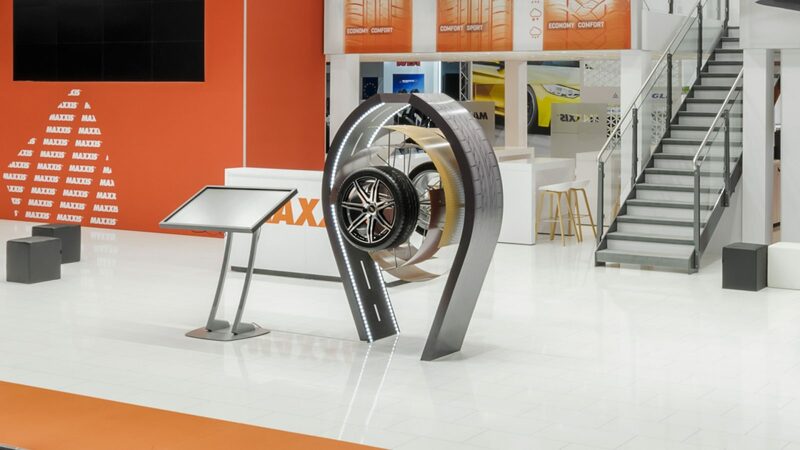 For this purpose, our designers created a unique display. The interplay of orange-red and white colours was the most eye-catching thing at the trade fair. 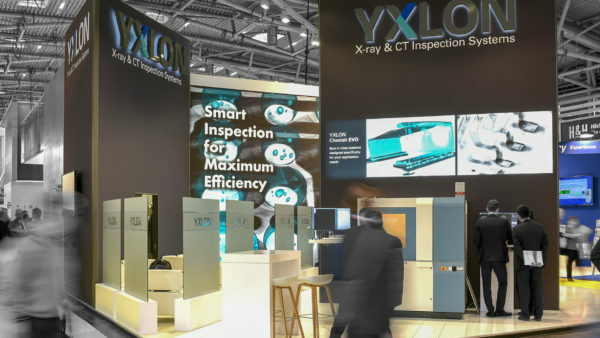 The display stand was aglow with light, and our client was beaming – that’s as good as it gets!